Soft, tri-laminate material with cottony feel. 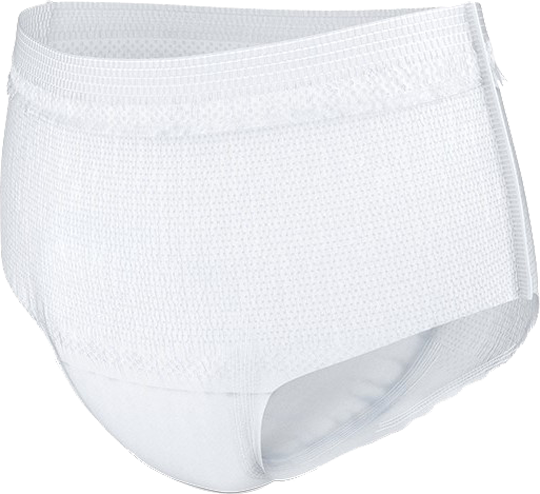 Designed to look and feel like real underwear. 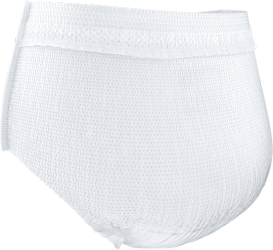 High absorbency and performance. Extra protection where needed most to quickly lock in liquids and odour. Odor reduction through Super Absorbent Polymers.